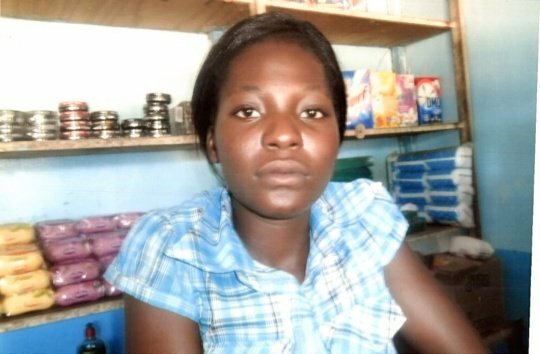 At 18, Morenelisa from Gokwe North, Zimbabwe is operating a grocery shop in her community. She is the sole supplier of basic household groceries in the area and she sells items such as flour, rice, mealie meal, sugar and salt. She also supplies the community with washing powders, bath soap and body lotions. This shop has been running for over a year and she requested the Kiva loan to increase her stocks by buying flour, rice, mealie meal, sugar, salt washing powders, bath soap and body lotions to get bulk discounts and boost sales. When she is not in her shop, she can be found at her local school counselling young boys and girls. She is a voluntary Learner Guide and has a passion for helping orphaned and vulnerable children. Congratulations to Morenelisa in Zimbabwe..!